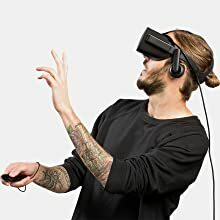 Tracking System: The headset is tracked by our IR emitter constellation tracking system for precise, low latency 360-degree orientation and position tracking. The tracking system is designed to track you whether you're sitting down or standing up. Ergonomics and Design: The advanced ergonomic design improves the headset's overall balance and stability. 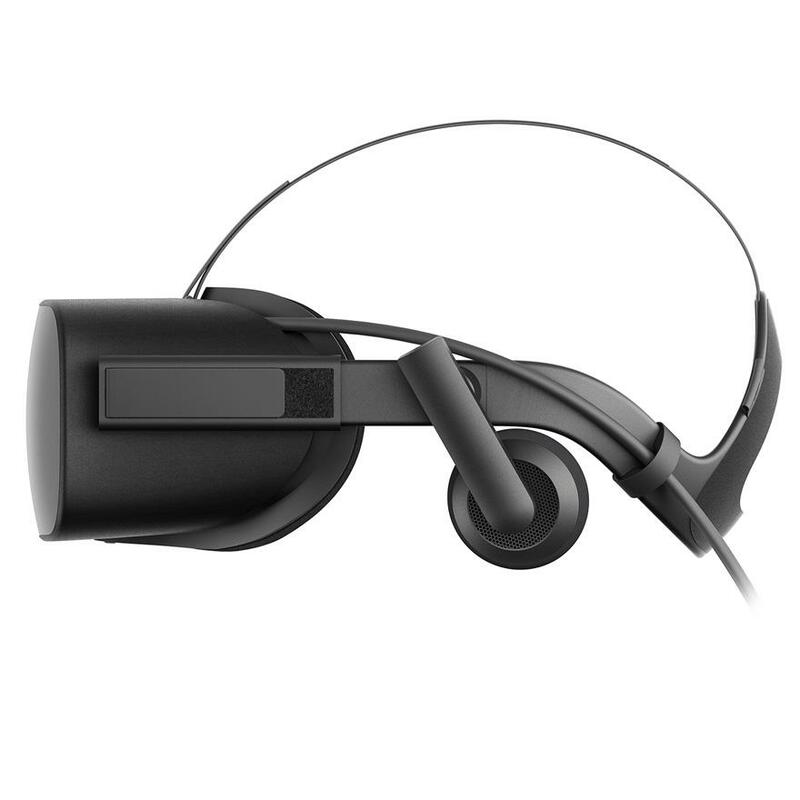 The strap architecture offloads the overall weight, allowing the headset to rest comfortably. 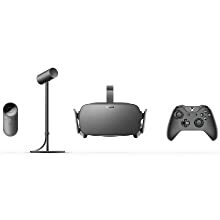 Includes Oculus Rift headset with built-in headphones and mic, Oculus Touch controls, 2 X sensors, 6 games to download. Rift uses custom display and optics technology designed specifically for VR, featuring two AMOLED displays with low-persistence. 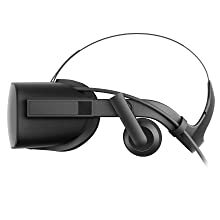 The technology enables incredible visual clarity as you explore virtual worlds. 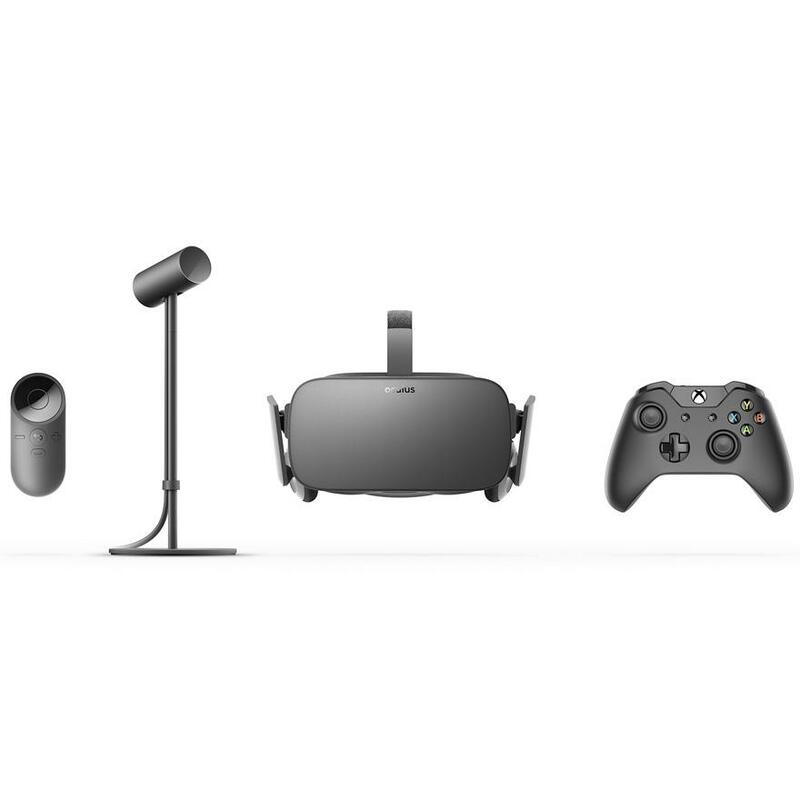 Rift features an integrated VR audio system designed to convince you that you’re truly there. The integrated headphones are removable in case you want to use your own. There is also a high-quality internal microphone for social experiences.